Educational Qualification : Pass in 10th standard. ( candidates with more qualification will not be eligible). Indian Bank Selection Process : Selection will be through interview. 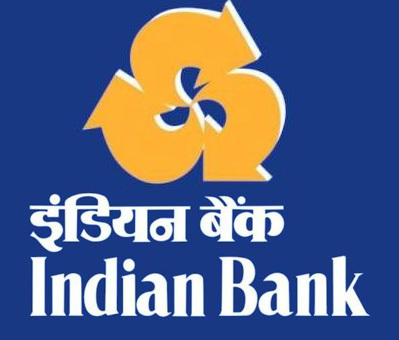 How to Apply Indian Bank Vacancy : Interested candidates may apply in prescribed application form along with relevant documents send to Assistant Vice President, HRD, Indbank Merchant Banking Services Limited, C/o-Indian Bank, Punjabi Bagh East Branch, 28,East Avenue Road, East Punjabi Bagh, New Delhi – 110 026 or email to recruitment@indbankonline.com on or before 04.09.2017. For Equity Research Analyst : MBA in Finance or any other equivalent post graduation And NISM – Research Analyst Certification with four year experience in handling assignments. How to Apply Indian Bank Vacancy : Interested candidates may apply in prescribed application form along with relevant documents send to Assistant Vice President, HRD, Indian Bank, 480, 1st Floor, Khivraj Complex 1, Anna Salai, Nandanam, Chennai 600035 or email to recruitment@indbankonline.com on or before 16.09.2017.
by Govt. of India/ approved by Govt. Regulatory Bodies (NISM/ NCFM qualification preferable).